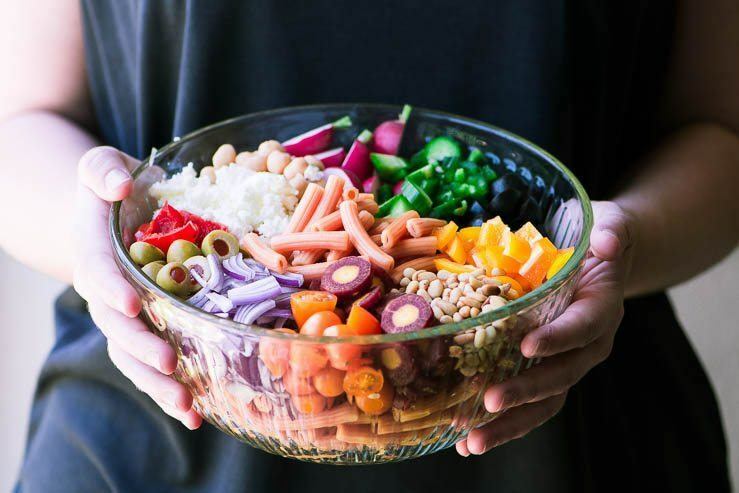 How to Make Gluten Free Pasta Salad That Actually Tastes Fabulous ~ gluten free pasta is a great invention, but it doesn't perform very well cold, which is big problem for summer pasta salads. I've got some tips and tricks to help you create the gluten free pasta salad of your dreams! Cook the pasta in plenty of well salted water until completely tender. Taste often toward the end of cooking. Drain and rinse the pasta in cold water until it is cool, then drain again to remove any excess water. Put into a large serving bowl and toss with some of the dressing to moisten. Add the rest of the ingredients and toss gently to combine. Add dressing to taste, and garnish with crumbled cheese.